We are a full service Commercial Real Estate firm offering Brokerage, Consulting and Project Management services throughout the Southeastern United States. Please read below to learn more about our service offerings. canvas the target market to help them acquire the best property at the lowest price possible. each property. Our goal is to procure the highest price for our client by creating the most efficient competitive marketplace possible. Our company’s significant market presence, combined with our in-depth market knowledge enables us to effectively target and qualify buyers, creating a competitive bidding environment to maximize value. land, income properties, and value-add properties. Development of preliminary project budgets and timelines based on early concepts and then regular Client coordination during Design Phase as to potential budget and timeline impacts. Preparation and collection of comprehensive feasibility reports that include environmental assessments, jurisdictional considerations, entitlement summaries, financial analysis and other unique considerations for go/no go decisions on the project. The sourcing and leadership of a highly qualified design team to meet the client’s design expectations while balancing the Client’s budget and time considerations. Overall management and integrated leadership of the various parties that may be involved in the entitlement and permit process, such as land use attorneys, engineers, architects, City staff, contractors and project partners. area contractors and then conduct a comprehensive review. Upon selection, we will draw upon our past experiences to negotiate a favorable construction agreement for the client. and regularly report to Client on progress. Upon substantial completion, we will ensure timely completion of the punch list to the Client’s satisfaction. Contact us today to learn how FTC can help with your next project. Warner Peacock has spent a large portion of his career in real estate development and investments. He has invested, developed and entitled properties for both himself and others all over the Southeast including car and motorcycle dealerships, casual dining restaurants, bank branches, residential communities, shopping centers and lifestyle properties. 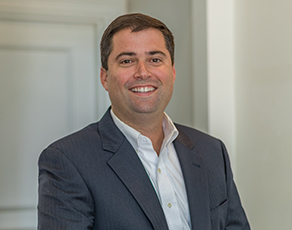 He was recently nominated by South Carolina Governor Nikki Haley and then confirmed by the South Carolina Senate to the South Carolina Jobs & Economic Development Authority, is a Board Member of the Southern Economic Alliance, and also serves as the Economic Ambassador for Jasper County. Mr. Peacock and his companies are actively involved in a wide variety of charitable organizations. Mr. Peacock is a founding board member and former Chairman of the Board for Orange Bank of Florida, and currently serves on the Board of Floridian Financial Group, a bank holding company that owns Floridian Bank of Florida and Orange Bank of Florida. He is also the President-CEO and Dealer Principal of Coastal States Automotive Group, LLC, and its subsidiaries. A native of Tallahassee, Fla., Mr. Peacock is a graduate of Florida State University’s College of Business. He has a long and proud history of being a Seminole fan and active booster of FSU’s athletics programs. A resident of Palmetto Bluff in the Lowcountry of South Carolina, he is happily married for 30+ years with two adult children. Tad Dixon has spent his entire career in the commercial real estate business and has been a Florida Real Estate Broker for more than 10 years. He has brokered, developed and entitled a wide range of properties including corporate hangar facilities, automotive dealerships, retail bank branches, personal storage facilities, shopping centers and residential communities. Tad leverages his unique mix of sales, technical and management skills to deliver outstanding service and results for his clients. He is results driven and works relentlessly to achieve client goals. Tad graduated from the Terry College of Business at the University of Georgia with a degree in Management Information Systems. He was born, raised and now resides in Orlando, Florida with his wife Kelby and two children Hadley and Hayes. Why use a Project Manager? First Team Commercial allows you to remain focused on your organization and your project’s vision, while we take on the burden of managing the details. We work hand-in-hand with the project team, answer critical questions from an Owner’s perspective and relentlessly pursue cost savings. First Team Commercial demands complete transparency and critical thinking from our project team to help identify areas where potential cost savings may be obtained without compromising the project’s outcome. Our commitment to your project will ensure it’s ultimate success!